Many people love to vacation in Lake George during the summer months, but did you know it's just as much fun to visit in winter? During this snowy season, a whole new world of outdoor activities opens up, particularly in nearby Washington County. From snowmobiling to downhill skiing, ice fishing, and more, experience winter's best recreation a short drive away from Lake George. When snow falls in this corner of the North Country, the rolling hills and farmland that make up a large portion of the region transform into a snowmobiler's paradise. 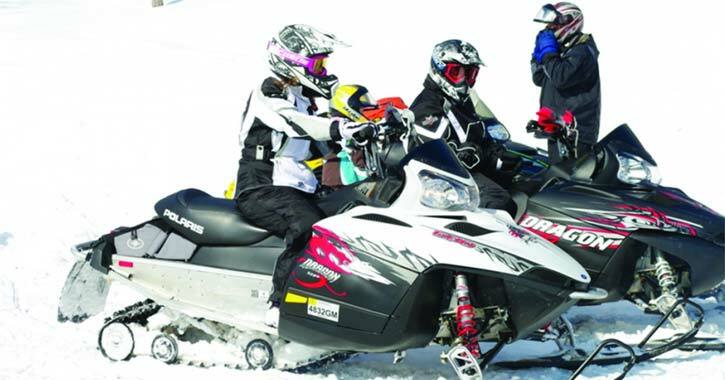 Starting in the Town of Putnam at the northeastern end of Lake George and ending in White Creek, there are numerous snowmobile trails to discover. One of the most important things to know about the region's snowmobile trails is that over 80% of them are located on private property, and landowners have given Washington County snowmobile clubs permission to maintain and open them to the public every winter. As such, all snowmobilers should be respectful of the land they travel through. Snowmobile season begins the day after deer hunting season ends provided there is enough snow. Each snowmobile club helps manage different sections of the trail network, and once they have consulted with specific landowners, they let the public know when the trails are finally open. Clubs use Facebook, their own websites, and large signs at trailheads to make these announcements. Unfamiliar with the area? No worries! You can easily map out your snowmobiling route ahead of time by taking a look at the Washington County Association of Snowmobile Clubs' official Trail Map. As you make your way along the trail network this winter, you may feel like taking a rest stop. Luckily, there are many businesses that cater to snowmobilers. Enjoy a rest stop at these hotspots: The Boar's Nest in Fort Ann, Hartford Tavern in Hartford, Time Served in Comstock, AJ's in Granville, Green Acres Tavern in Greenwich, and more. Once the trails are open, make your plans for an unforgettable snowmobile tour! Ski, ride, and slide - you can do all three at Willard Mountain in Greenwich. Nicknamed "New York's Coolest Little Ski Area," Willard may not be as vast as Whiteface or Killington, but what the mountain lacks in size it more than makes up for in the number of opportunities for outdoor winter fun. What makes this ski resort stand out among the rest in the Lake George Region is its relaxed environment where the staff will treat you and your kids like family. Plus, all of the facilities and ski lifts are accessible right from the base lodge area. The varied terrain at Willard gives skiers and snowboarders a wide range of downhill trails and terrain parks to choose from. There are a few learning centers for kids just starting out, and the mountain is home to exciting beginner-level trails too, such as Meadow and Bunny Hop. Looking to expand your skills as a skier or snowboarder? Skip the easy trails and go to the intermediate and expert-level trails! You'll find some of each kind on both sides of the mountain, as well as two areas for glade skiing (for only the most experienced). 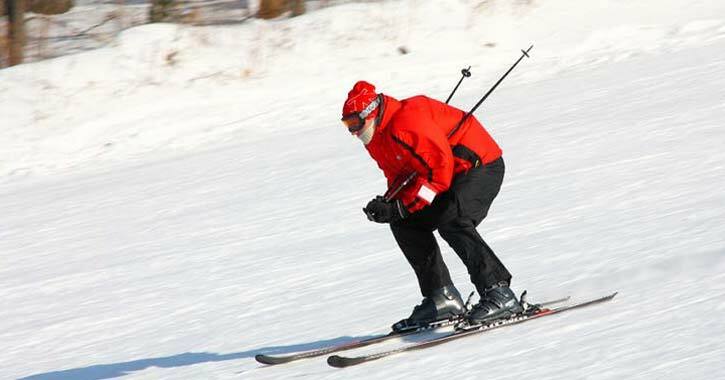 Although they are two of the most popular winter activities, skiing and snowboarding aren't for everyone. However, if you love the snow, then perhaps snow tubing is the right choice for you. In addition to their ski/snowboard trails, Willard features a family-friendly snow tubing park where a lift will bring you and your tube right up to the top of the tubing lanes. From there, you can hop in your tube and experience all the thrills of riding down a mountainside with little effort on your part. Willard is typically open from early December through late March, so you can enjoy their activities throughout the entire winter season. Here in the Lake George Region, there's more to winter than just snow. As temperatures drop, many of the region's bodies of water freeze over and become safe for ice fishing. Since it's hard to predict when the ice will be frozen enough on a specific body of water, we've compiled a variety of local options you should check out this winter. Lake George - Take a trip to the eastern shoreline of Lake George for some prime ice fishing opportunities. As with as all frozen bodies of water, you will want to test the ice before you head out. 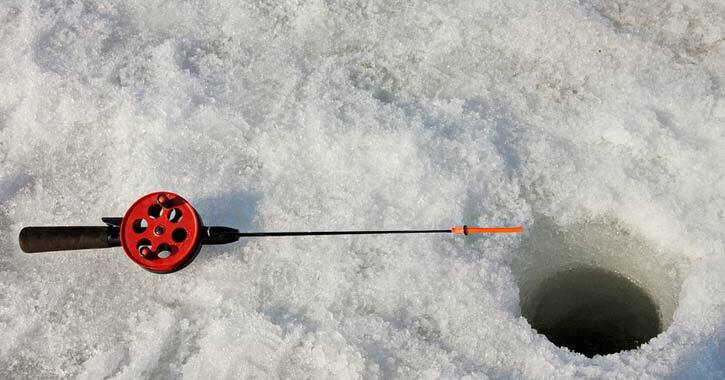 Once you've determined the ice is safe to walk on, some of the fish species you'll be able to catch include yellow perch, landlocked salmon, and lake trout. Fort Ann Beach is recommended as a great place to start your ice fishing trip. Lake Champlain's South Bay - If you travel north of Whitehall, you'll reach Lake Champlain's South Bay. You can typically expect this section of Lake Champlain to be frozen earlier than other areas of the lake, and once it's safe to walk on, you'll be able to start catching fish. Trout (brook, brown, and rainbow), lake trout, and landlocked salmon are available to catch year-round. Try starting near the South Bay Pier, located minutes away from Whitehall. Carters Pond - Grab your ice fishing gear and visit the Carters Pond Wildlife Management Area in Greenwich near the heart of Washington County. This state-owned property is open year-round and features an interpretive walking trail and a good-sized pond for fishing. You can try catching black crappie, northern pike, pumpkinseed, and more. Cossayuna Lake - Located in South Argyle, Cossayuna Lake offers similar ice fishing opportunities as Carters Pond. Some of this lake's fish species include bluegill, yellow perch, northern pike, and more. 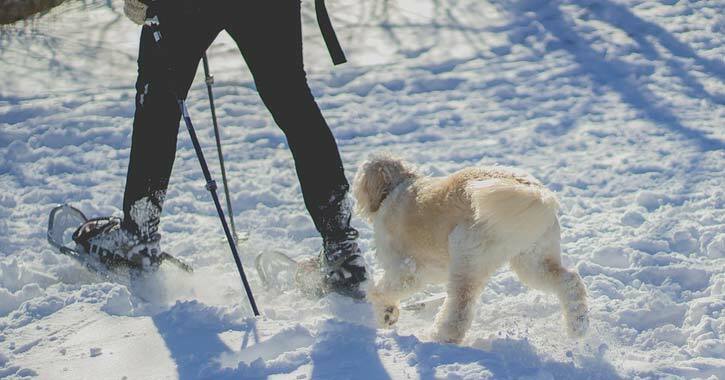 While some can't wait to speed down the slopes, others prefer a slower trek through the snow on a cross-country ski or snowshoe trip. Although Washington County isn't home to dedicated cross-country ski/snowshoe centers, that doesn't mean there's nowhere to go. Forge your own path this winter and explore one of the many state forests and wildlife areas scattered all around the county. Instead of groomed trails, you'll find miles of ungroomed terrain in the wilderness. Goose Egg State Forest & Batten Kill State Forest - These two state forests are located in White Creek and Jackson, and they lie adjacent to one another. Totaling nearly 1,000 acres, both cross-country skiing and snowshoeing are allowed on the properties. Chestnut Woods State Forest - Located in White Creek, this 800-acre state forest is nestled between the southern border of Washington County and Vermont. There are no maintained trails, but you can follow old logging roads on your cross-country skis or snowshoes. The Saddles State Forest - This large, 2,471-acre state forest in Whitehall and Jackson is perfect for exploring in winter. Embrace the serene setting as you move through the property. Gull Bay Preserve - The Lake George Land Conservancy manages parks and preserves on both sides of Lake George, and one of their most popular ones is Gull Bay Preserve in Putnam Station. This preserve features easy to moderate terrain and is open for both hiking and non-motorized winter activities. Whether you can envision yourself riding down the slopes at Willard or zooming across miles of snowmobile trails, there is a winter activity for you near Lake George!